German-based MMOG publisher, EuroGameZ GmbH would like to announce today that the July Update is now online for street basketball MMOG Freestyle2 Europe gamers. Style Change Item by Event Reward added. Boosting Event for 7 days added. July Monthly Crew Ranking Tournament Event is online. 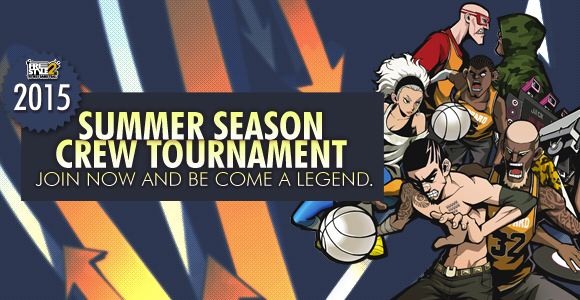 Summer Crew Tournament is in application phase now. For the incoming summer vacation season, EuroGameZ has prepared two crew tournament events on summer season and many crews can apply and earn good prizes. EuroGameZ has also updated the long-waited new content like the Item manufacturing system, new ceremonies and the style-change-item, so that royal freestylers can use and enjoy these new features. The seven day long boosting event will be followed with the update, letting new players level up quickly to catch up with higher level content.